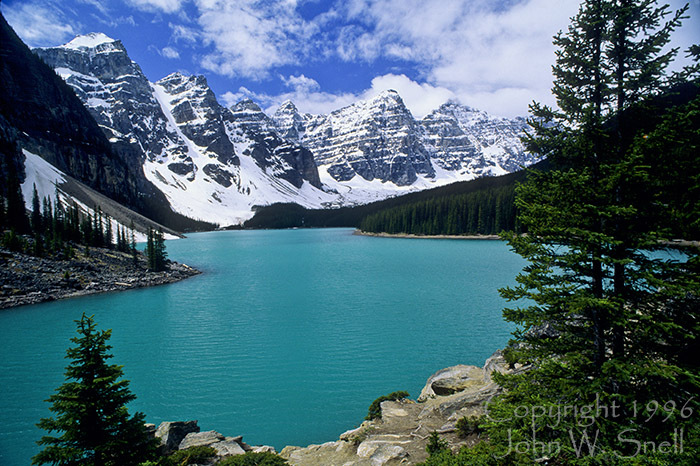 Many folks who've looked at my Moraine Lake photos ask if the water is truly the color shown. I answer that it is. In fact, that's typical of lakes filled with runoff from melting glaciers. The areas around Banff and Jasper in Alberta, Canada are the most beautiful places I've ever photographed.